Details from the Amazon listing linked here. 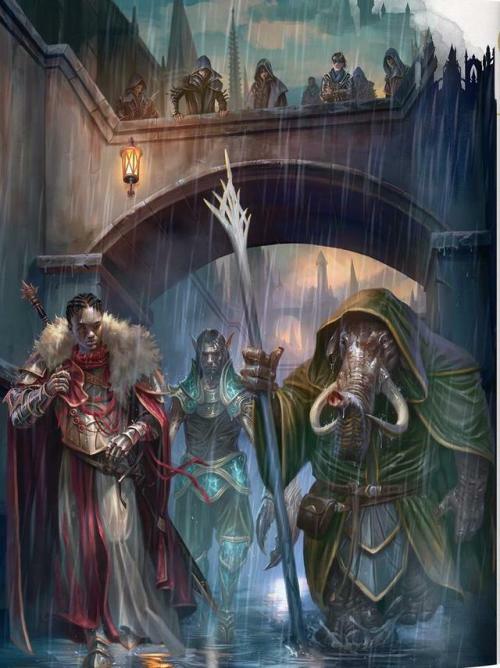 In Chapter one, races detailed in the Guide include Centaur, Elf, Goblin, Human, Loxodon, Minotaur, Simic Hybrid and Vedalken with sub-classes of Cleric and Druid. 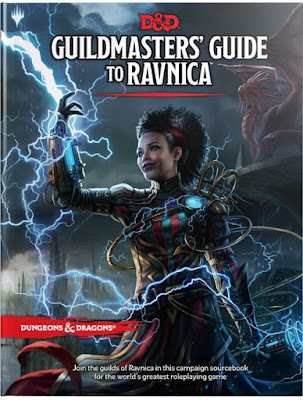 Chapter two provides backgrounds on the Guilds of Ravnica along with what it takes to be a member of a Guild. 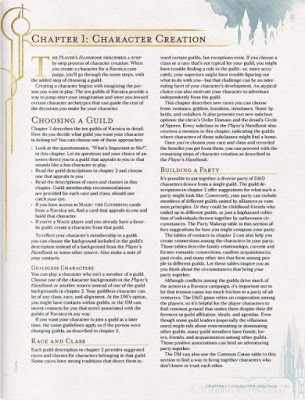 Dungeon Masters are provided assistance in creating adventures in Chapter 4. 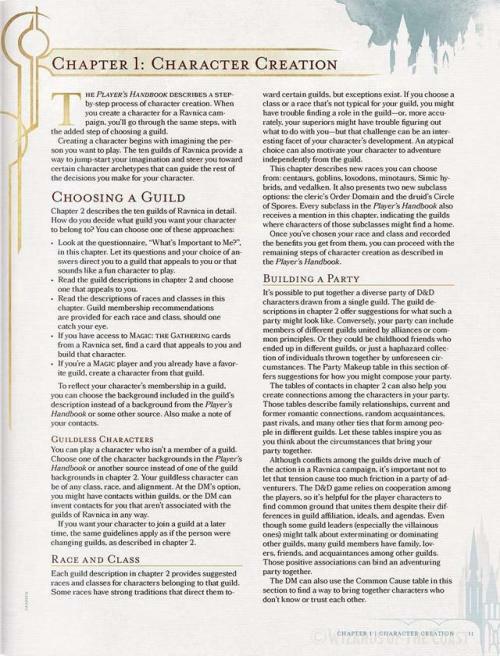 Some common complaints we have read from fans of the game is that there is a preference for more details, whether it may be a character stats (Charisma, Constitution, Dexterity, Intelligence, Strength and Wisdom), stats on a Monster (everyone loves thumbing through a Fiend Folio), or more information to move a party through a campaign. 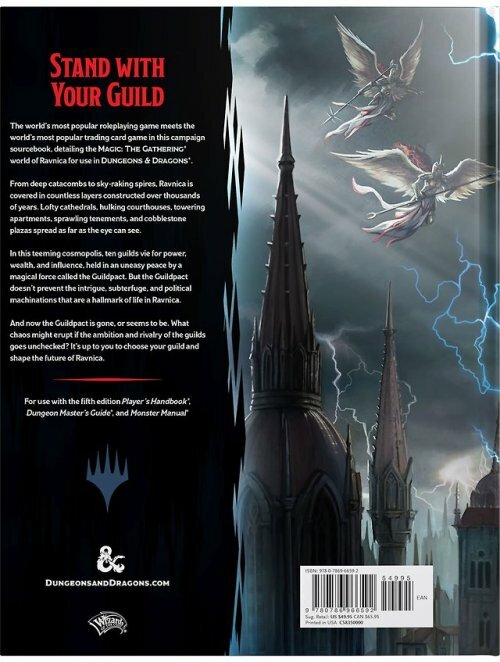 Obviously this is a simple supplementary product to be used as a guide, but our limited and unexperienced opinion is that Wizards of the Coast would be well served in developing a Magic: the Gathering themed publication more heavily invested in the world of Dungeons and Dragons while addressing the fan community's wish list.